So, those of you who have followed my blog for a while know that I embrace change with open arms. This usually manifests itself in moving furniture around, learning new skills, or traveling to some place I have never been before. 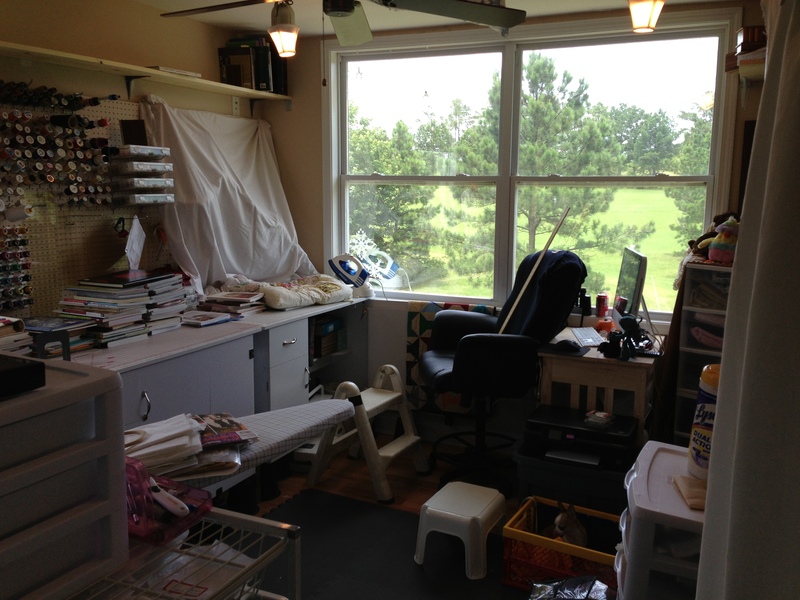 This past few weeks I have been in the process of rearranging my sewing room. 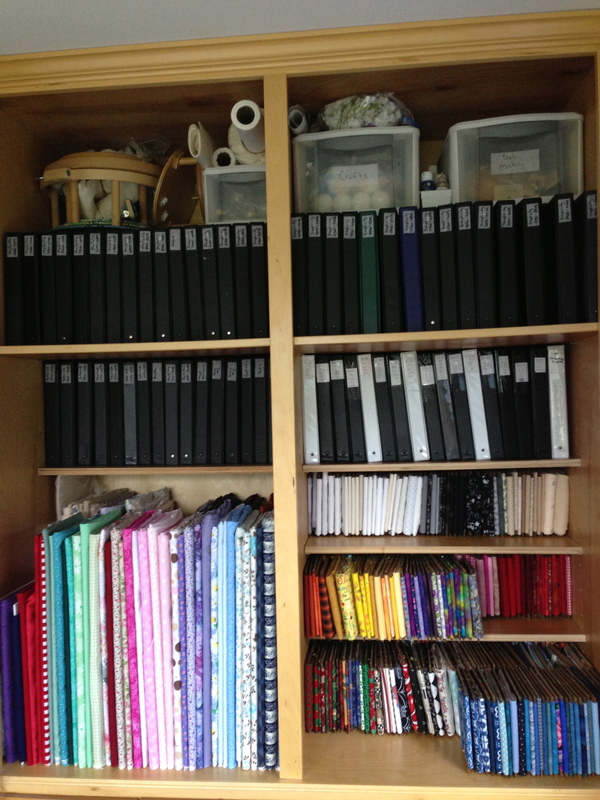 I am always trying to make my sewing space more organized and user friendly. I forgot to take a photo before I started moving things around. But you get the idea of where things were when I started. 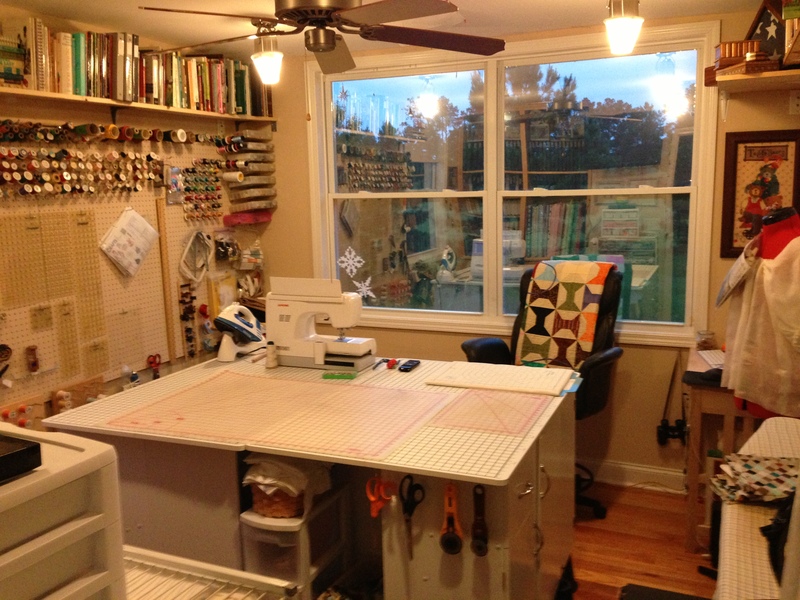 I moved the sewing cabinets to the middle of the room and removed several of the Rubbermaid storage containers. The books were moved to shelves around the top of the room and here is the result. I began by making 2 copies of my pattern envelopes. 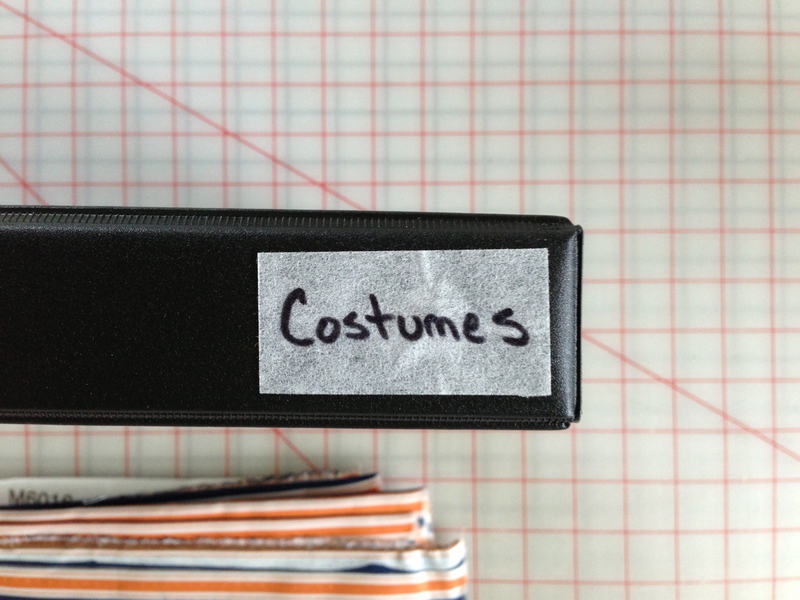 One copy was placed in a plastic sleeve with the pattern and placed in a binder. These binders I labeled by company and pattern number range. The other copy went into another plastic sleeve and was filed away with “like” patterns. These binders I labeled with the type of patterns they contained. 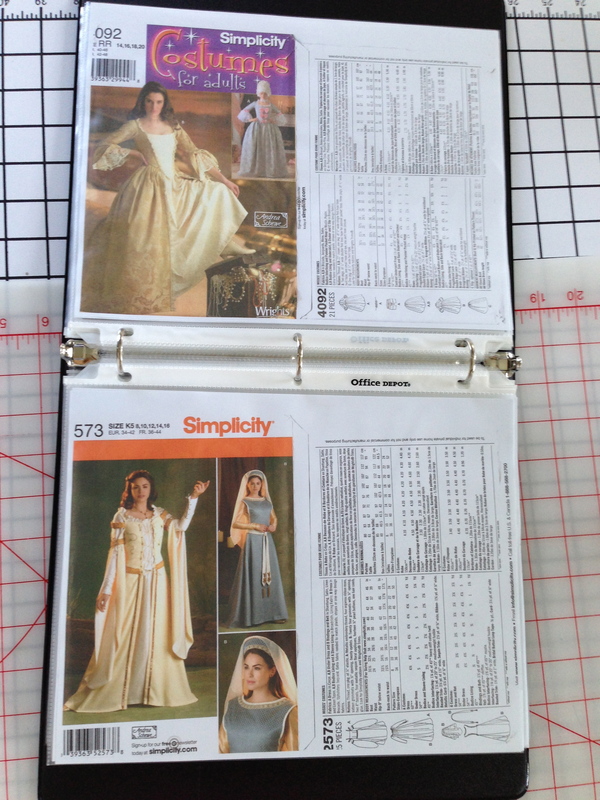 By doing this, I can flip through the binders with just the photo copies to see what patterns I have, their sizes, and yardage information. I don’t have to pull out the pattern envelopes to try to find a specific pattern or look for inspiration. I have the “patterns” in magazine form. You can see the patters in the top of the bookshelf below. Oh, and you can also see what I did with my fabric yardage. The fabric mini bolts on the right are the product of an inspiration I had and blogged about here. The fabric on the right I is yardage of 1.5 yards or longer that I have had stored in the Rubbermaid drawers. 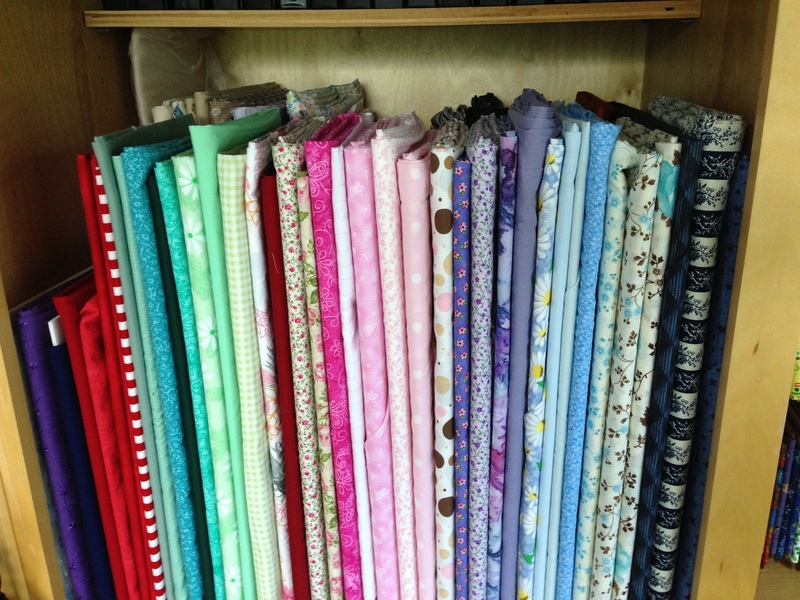 Unfortunately, I did not know what fabrics I had, and I could not really be inspired by my pretty stash unless I rummaged through the drawers. You know the feeling you get when you walk into a fabric store and see all the pretty fabrics? I wanted to be able to see my fabrics and have that same type of tactile enjoyment. To make the bolts, I purchased a box of foam board (see below) from Dollar Tree (online) and cut each piece into 10″ x 20″ bolt cores. This gave me 75 “cores” or bolts. I have 6 left. Yay! The fabric is two rows deep and it is hard to believe that there are 69 bolts there. Wow! You have been busy! I love the change. 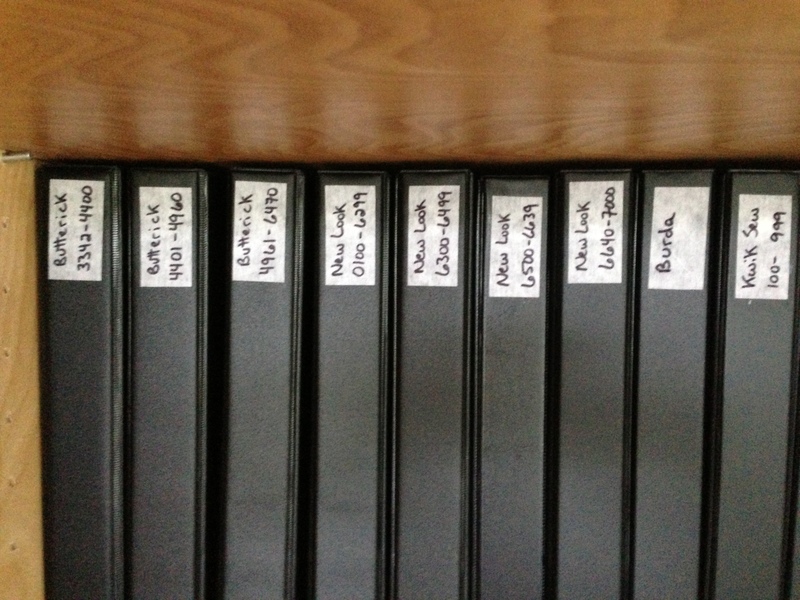 One of these days I want to grow up and be as organized as you, LOL! Thank you for the wonderful , useful ,creative organization ideas, esp. 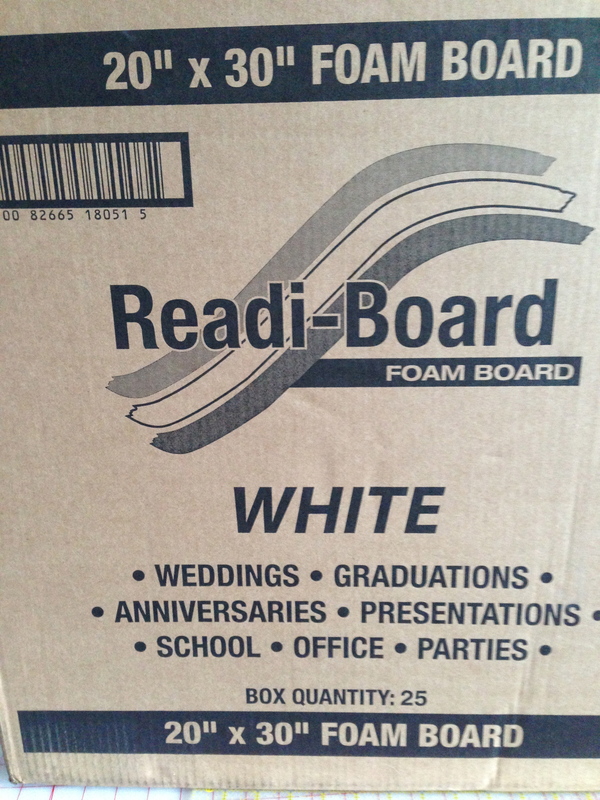 The foam board!